The Anti-Corruption Front alleges the corrupt electricity mafia in the CEB is plotting another swindling by proposing to build a compact power plant at Kerawalapitiya at a cost of Rs. seven billion of public money. In a statement, ACF consultant Keerthi Tennakoon says power ministry secretary Dr. Suren Batagoda has instructed the launch of the project under which a 30 kw diesel-powered plant would be turned into a natural liquid gas plant within three years of operation. In the face of the government’s economic bankruptcy and the sale of economic nerve points due to a loan repayment crisis, the CEB has made plans to raise electricity charges to find money for this project, Tennakoon adds. Giving details of those proposals, he alleges the CEB’s electricity mafia led by the former and incumbent secretaries of the power ministry has never allowed seven companies that expressed a desire to start natural liquid gas power plants. 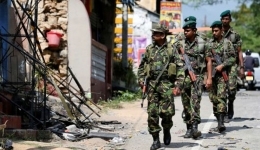 After the new government took office, six investors have come forward and expressed agreement at talks with president Maithripala Sirisena to finalize agreements within three months. But, now all those proposals have been dumped and the Batagoda-led electricity mafia is going to burden consumers with massive electricity charges, charges Tennakoon. 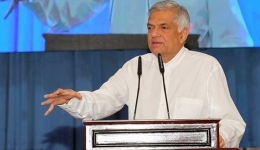 The PM has stressed that Sri Lanka cannot afford to invest in the electricity sector, with the company investment to generate 2,100 watts of electricity to cater to future needs, is estimated at 3,700 million US dollars. Batagoda is preventing the investment of this money and buying coal at a price 10 dollars in excess of the world market price, and is causing a Rs. 14 per unit loss to the CEB by buying from diesel-powered plants whereas natural gas based generation could halve the expenses. On a complaint by the president, the CID is investigating Batagoda over the coal deal, but the racket continues. 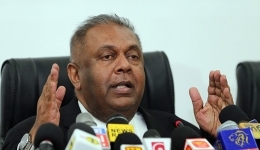 Tennakoon goes on to say that four officials blacklisted by Mangala Samaraweera for having campaigned for Mahinda Rajapkasa in 2015 are habouring this racket. 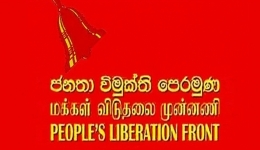 The AFC demands the exposure of those who are preventing the construction of natural gas powered stations at Hambantota, Kerawalapitiay, Sitawaka, Biyagama and Katunayake within six months as promised by BOI chairman Upul Jayasuriya. The electricity mafia can be eliminated by competitive investment in the field to end the dependence on diesel-powered plants, it adds.